Why do pigs oink in English, boo boo in Japanese, and nöff-nöff in Swedish? Have you ever thought back to the animal noises that you used to make as a child? How a cat goes “meow meow,” a pig goes “oink oink,” and a cow goes “moo?” Did you ever think of how other languages might make these sounds? You probably haven’t, but it’s definitely more interesting than you might think at first. You see, the noises, or words, we use to describe the noises that animals make vary from language to language. This is known as onomatopoeia. It helps to explain the thousands of diversities between languages that makes them sound similar, especially when we’re referring to the sounds that our animal friends make. Did you know we keep some things in common when we interpret the noises our animal friends make? Sometimes they might start with the same letter as each other, across each language. They always end up sounding quite similar, though, don’t they? There have been several studies into how these noises, these words, have developed to sound the way they do. However, there seems to be a consensus that they probably originated from our imitating the grunts, cries, and over all sounds that the animals that we are listening to have been making on their own. These sounds express themselves differently across different languages but, really, we’re all trying to communicate the same things. The same types of sounds that are coming from the mouths, snouts, or beaks of our animal friends. Isn’t that an interesting thought to consider? How different our languages may be from each other, and how different our cultures may be, and yet we still have some little things in common, like the onomatopoeia with our animal friends. Things like animals cross language barriers and we can develop further understanding of languages by interpreting the similar aspects between them. The intricacies of language are quite interesting, especially with the onomatopoeia in relation to animals from language to language. However, it would do quite well for you to read up on the details in the original article, as well! 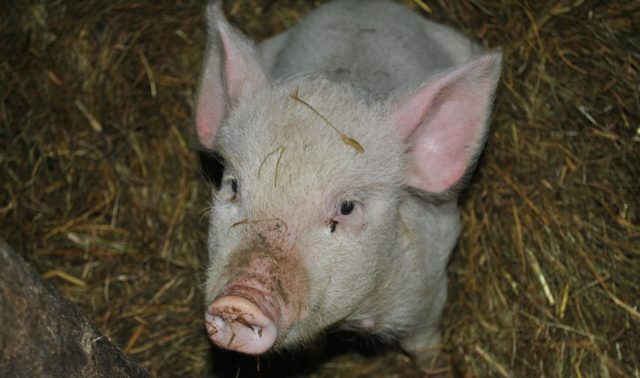 The Guardian: Why do pigs oink, boo boo, and nöff-nöff…? BuzzFeed: How do animals sound in other languages?